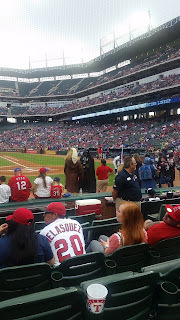 Andreas wanted a Texas Rangers Star Wars mashup bobble head doll. 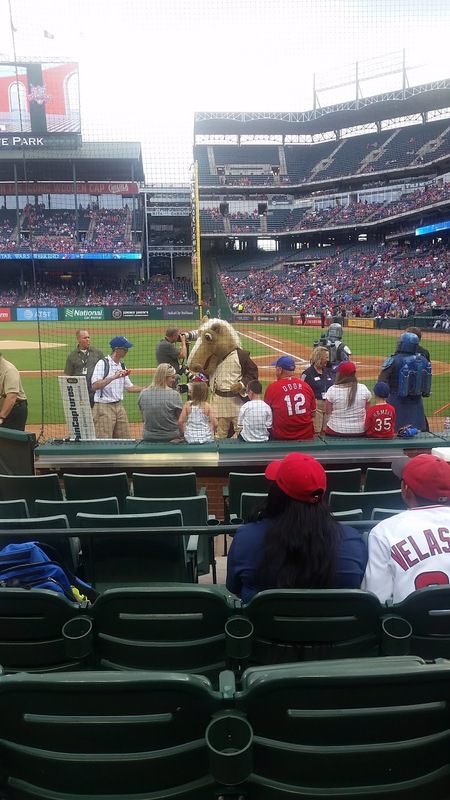 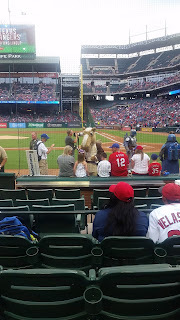 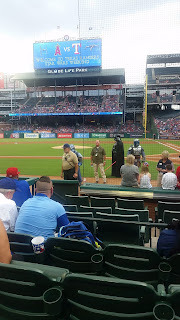 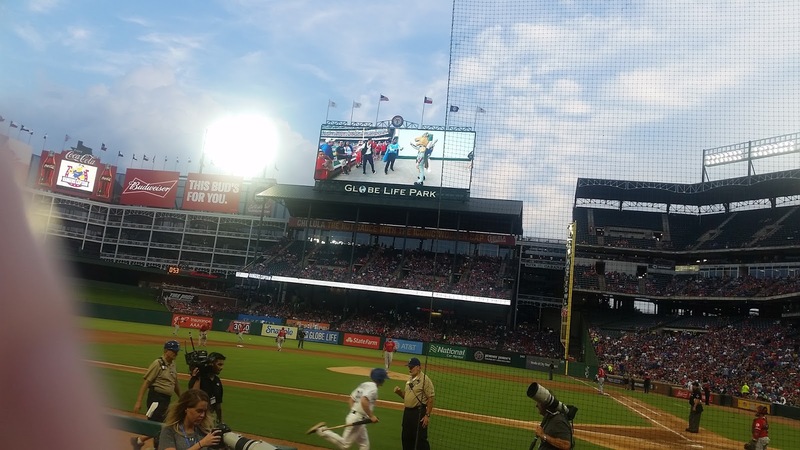 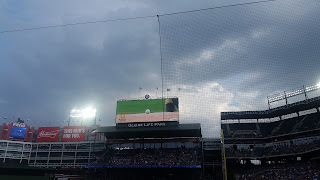 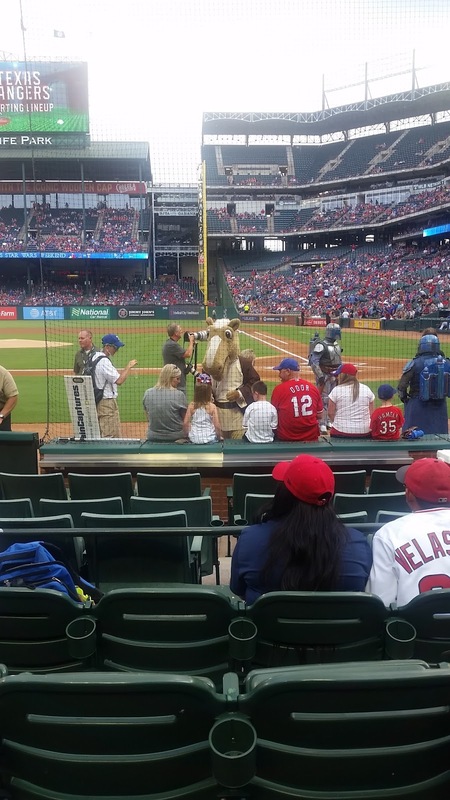 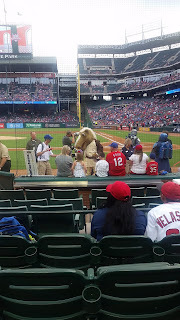 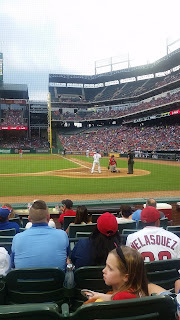 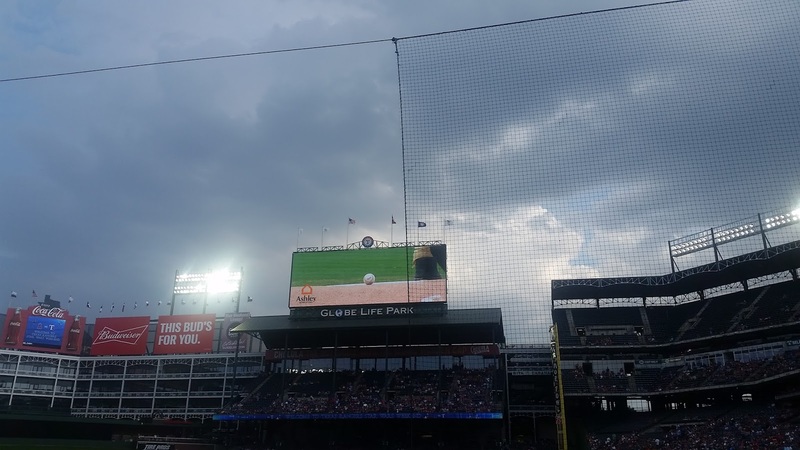 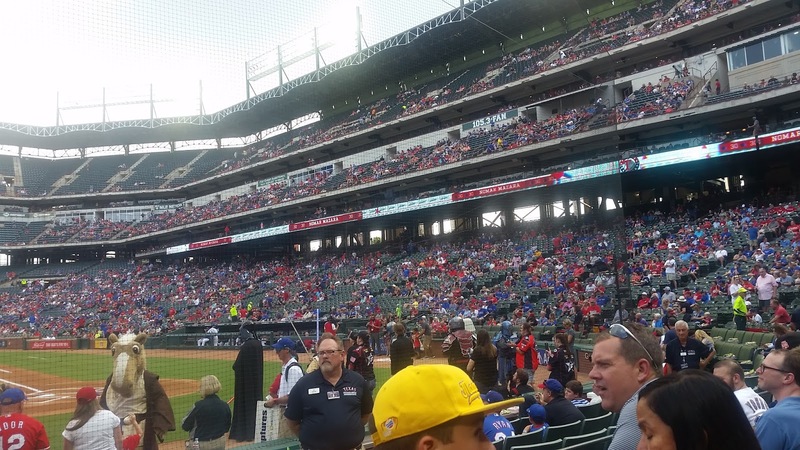 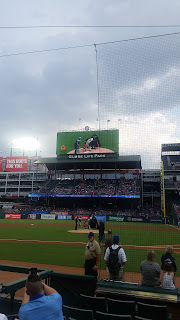 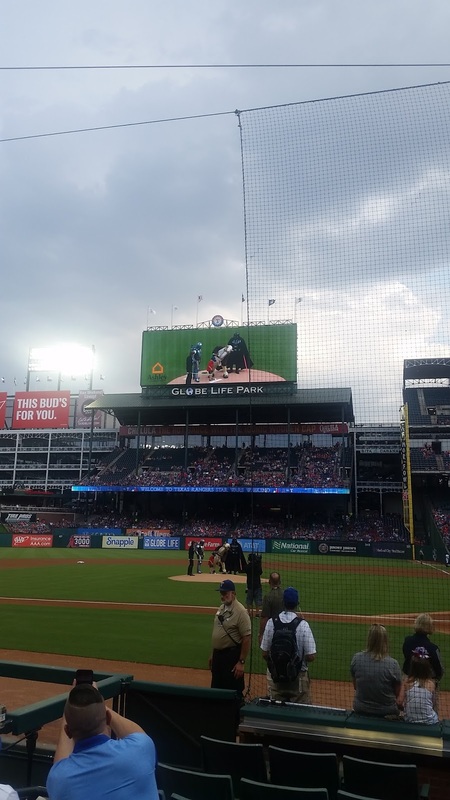 Since he was not yet on home leave, I had to "suffer" through a Rangers game to get him one. 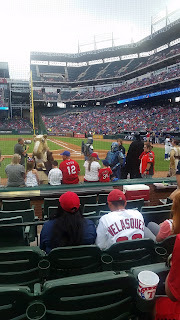 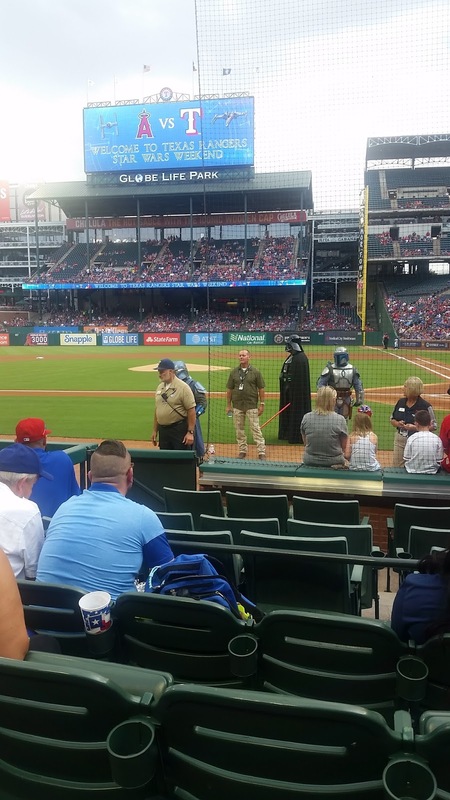 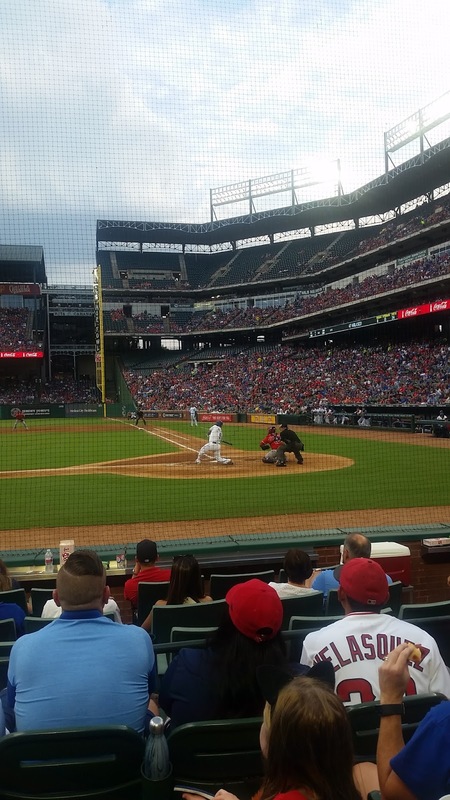 It was a true hardship, as Andreas picked out the ticket for me and got this awesome seat behind home plate. 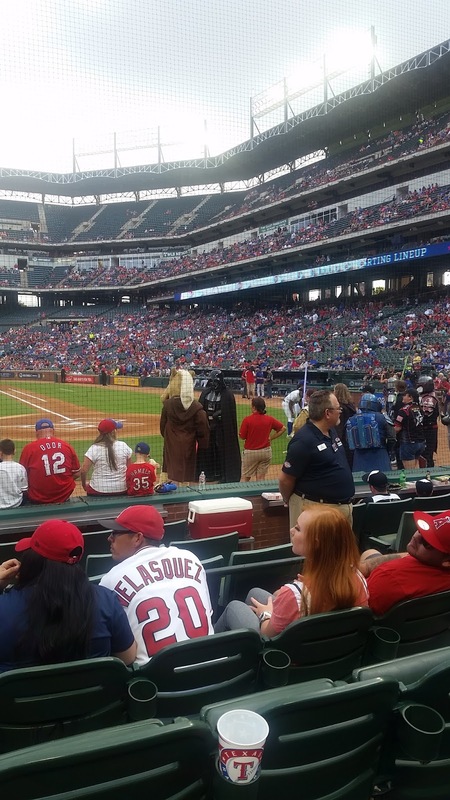 Members of the 501st Legion were on the field before the game in full regalia. 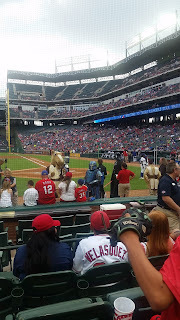 It was cute to see Boba Fett annoy the head groundskeeper. The game was great, too, and I had a good time.